Nederburg achieved two gold medals at the International Wine & Spirit Competition (IWSC) in the UK, for its 2015 Private Bin R163 Cabernet Sauvignon and 2017 The Winemasters Noble Late Harvest. The latter also earned 93 points in award-winning British journalist and Master of Wine, Tim Atkins authoritative 2018 South Africa Special Report, released earlier this week. The same wine was scored 91 points in South Africas Sweet Wine Report 2018 by Winemag.co.za, last month. 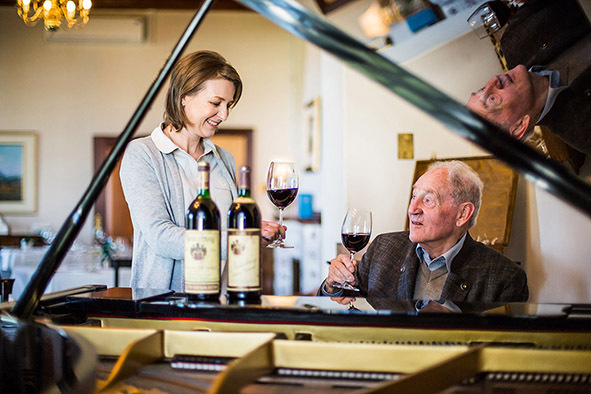 The Paarl winery is regarded as a top producer of noble late harvest and Cabernet Sauvignon wines, a tradition cultivated over decades, started by winemaking legend, Günter Brözel, in the 1950s when he joined Nederburg. He was cellar-master here for 33 years, from 1956 to 1989. A maven and a maverick, Brözel was the first in South Africa to produce a noble late harvest made from botrytised (noble rot infected) Chenin blanc, back in 1969. Named Edelkeur (noble choice), it has earned Nederburg considerable international kudos over the years. In fact, it gave rise to the Nederburg Auction in 1975 and later went on to help earn Br?zel the coveted Robert Mondavi Winemaker of the Year award at the International Wine & Spirit Competition (IWSC) in 1985. Over the years, Nederburgs noble late harvest wines from various ranges, including The Winemasters, have been richly awarded both locally and internationally. It remains a benchmark in the wine industry. Nederburgs Private Bin/Auction Reserve collection, pioneered by Brözel, is still produced exclusively for sale on the annual Nederburg Auction. A three-bottle 750ml lot of the Cabernet Sauvignon 1975, that forms part of the Vintage Auction range, went under the hammer at the 2018 Nederburg Auction earlier in September and fetched a price of R10 000. Further testament to Nederburgs skill with Cabernet Sauvignon, in July, it was announced that the winery scored a hat-trick at The Drinks Business Global Cabernet Sauvignon Masters 2018 in the United Kingdom, bringing home three gold medals, the only ones awarded to Cabernet Sauvignons from South Africa. These went to Nederburg Private Bin R163 Cabernet Sauvignon 2015, Nederburg Two Centuries Cabernet Sauvignon 2013 (last year, this wine won the coveted Warren Winiarski Trophy for the best Cabernet Sauvignon at the IWSC), and to the 2016 vintage of the winerys Heritage Heroes The Brew Master, a Cabernet Sauvignon-based Bordeaux-style red blend. Atkin awarded Nederburgs Two Centuries Cabernet Sauvignon 2014 a score of 91 points. The same vintage was announced Platters South African Wine Guides Red Wine of the Year in the 2018 edition. These lauded Nederburg wines, generally with the exception of those from the Private Bin collection, are available from the farm in Paarl, fine wine shops or online at www.vinoteque.co.za.